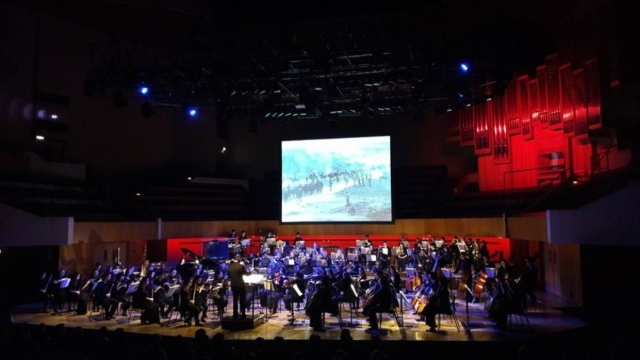 On Remembrance Sunday, Cardiff University Symphony Orchestra put on a live orchestral screening to remember those who fell at the Battle of the Somme. 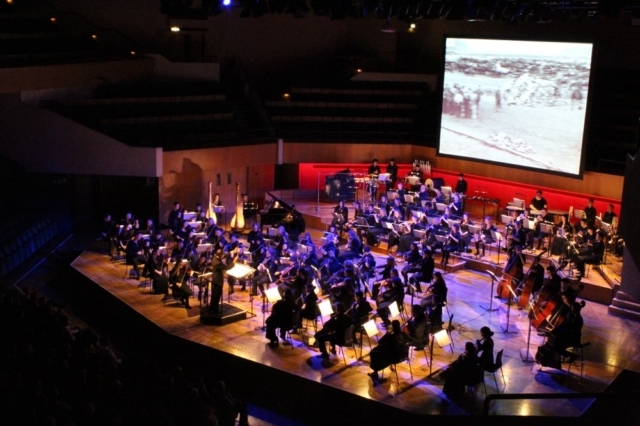 The afternoon began with a discussion of propaganda and the battle with Dr John Jewell and Dr Toby Thacker, and concluded with a screening of the Imperial War Museum’s 1916 silent film by Geoffrey Malins and J B McDowell with live accompaniment by Cardiff University Symphony Orchestra performing Laura Rossi’s score. Commemorations have been plentiful this year for the centenary of the Somme. This Remembrance Sunday was particularly poignant here as Cardiff University had arranged a weekend of symposiums, concerts and more. 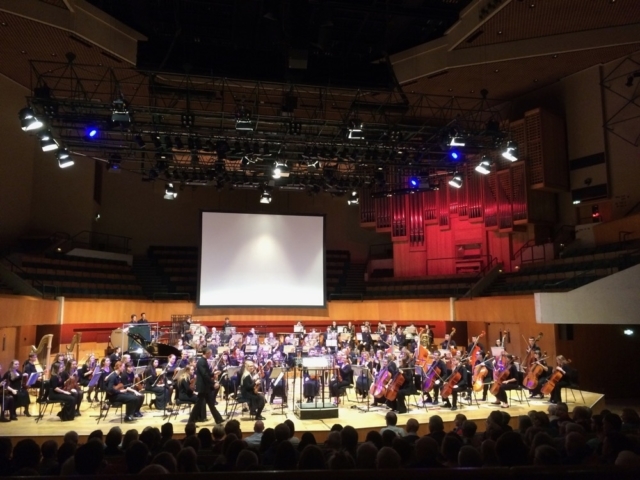 On the Saturday, a piano recital of war time music by Iwan Llewelyn-Jones had some lovely highlights including music by Max Reger and Scriabin, then ending with Debussy and Ravel. This free event was a welcoming addition to the weekend. A talk on Propaganda in WW1, was our introduction to the remarkable footage seen from the Battle of the Somme. The speakers John Jewell, Toby Thacker and chair Jon Gower gave invaluable insights into the operation of Britain’s own propaganda machine, shortly after the war had begun. 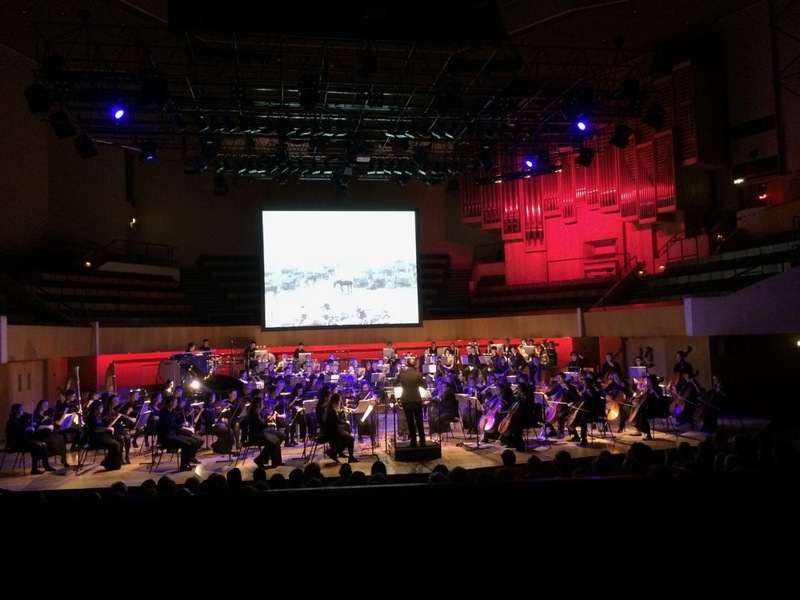 The importance of the footage taken by both Geoffrey Malins and John McDowell during the Battle of the Somme cannot be oversold. It remains as one of the vital film pieces ever created; an invaluable documentary resource. It’s very simple in its execution: point at subject, linger for a while and sometime pan to the left or right. There were no films school 100 years ago, such was its new fangled appeal. What is seen is however iconic and instantly reconcile: the troops going over the ridge, with one soldier sloping back down, shot dead, the huge mine blasting the earth in a terrifying moment of destruction etc. It is as gut wrenching now, as to when it was first captured on film. 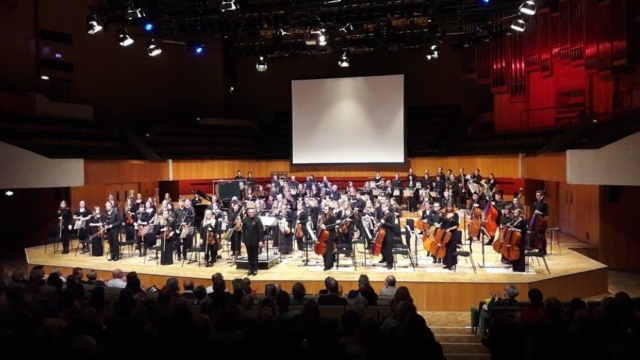 To coincide with the screening, Cardiff University assembled its largest ever orchestra for the film score by Laura Rossi. 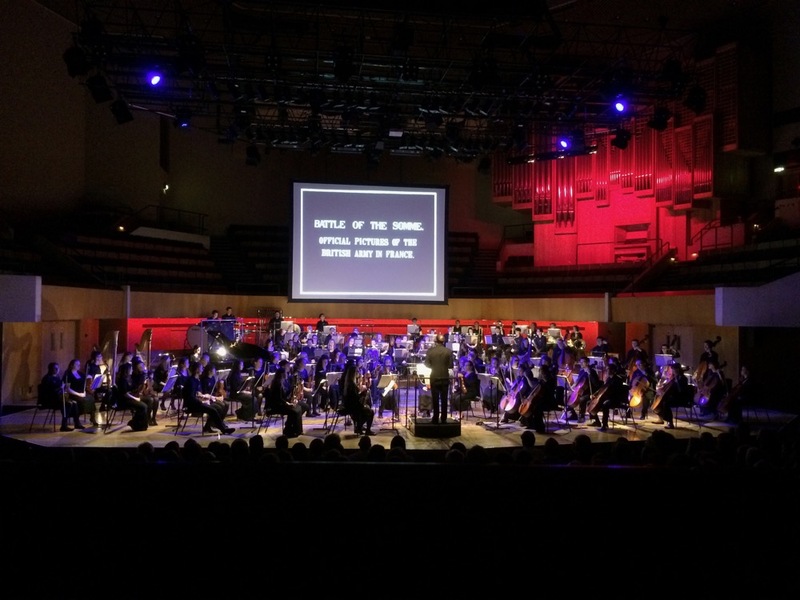 It’s impressive and doesn’t fall into all of the trappings of reimagined film scores. Her orchestration was on point, with six flutes, two harps and heaps of brass. The utilising of the piano strings to depict far off bomb attacks was inspiring. Nice to hear tubas more; in their drones and attacks as these disgustingly giant weapons of death are geared up, their targets acquired and then the awful blast we can only imagine for this silent film, brought to life in the score. The score is also not afraid to frolic along with the film in its many tangents. One scene was admiring the soldiers content and happy, marching off to fight. The next scene is a battle and then a serene depiction of the countryside of norther France. In short, the music is near perfect in its offering.